With a career spanning two studio albums and an astounding 27 mixtapes and 41 singles, rapper Waka Flocka Flame’s extensive discography has naturally prepared him to have a laundry list of hits. Having mastered the ad-lib trap style nearly a decade before modern cultural sensations like Migos and Future, Waka Flocka’s music is widely regarded as one of the foundational elements of the trap genre that has captured the entertainment industry’s fascination for the time being. 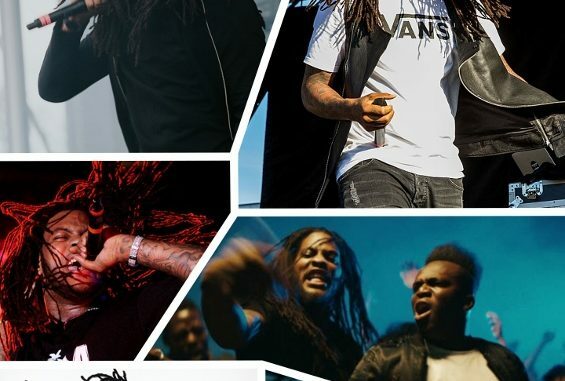 Now, with 10 years of music and success behind him, Waka Flocka Flame is coming to Wittenberg for Wittfest 2019. Before he hits the stage this weekend, make sure to catch up on these five classic hits from his extensive discography. Easily Waka Flocka’s most famous and memorable song, “No Hands” features an irresistible, autotune-lathered chorus and fun, enjoyable verses from Wale, Roscoe Dash and Flocka himself. A major single from Flocka’s 2010 debut album “Flockaveli,” the three-times platinum track is recognizable and still popular in the club-rap scene. “No Hands” will almost certainly be played at least once during Wittfest, so make sure to brush up on your memory of the lyrics before the concert. One of Flocka’s most aggressive and noisy tracks, “Hard In Da Paint” is an unabashed banger. Loud, angry and unapologetic, the track is filled with infectious instrumentals and genre-defining ad-libs. Originally featured on Flocka’s 2009 mixtape “Flocka James,” the track found its way to Flocka’s “Flockaveli” album alongside “No Hands.” The track’s irreverent and chaotic style perfectly suit it for a mosh pit-style concert venue, and will fit perfectly with the energetic vibe that Wittfest offers. Originally off of Ohio native Machine Gun Kelley’s 2012 debut record “Lace Up,” Flocka’s verse on “Wild Boy” gained popularity years after its release from a slew of memes that used the first lines of Flocka’s verse. Though it only lasts just under a minute, Flocka’s relentless verse on “Wild Boy” rivals “Hard In Da Paint” as one of Flocka’s angriest, most chaotic and most head-bangable verses. It is Trey Songz’s addictive work on “I Don’t Really Care” that lands this track in the last spot on the list. Lifted from his 2012 sophomore LP “Triple F Life: Fans, Friends & Family,” Flocka is surprisingly understated on the track, with most of his energy coming through on the lively, ringing instrumental and angry ad-libs swirling in the background behind both Flocka and Trey Songz. The overall vibe of the song, though, makes it a holistic party anthem and a perfect addition to the 2019 Wittfest tracklist.